A big thank you goes to Year 7 students, Anna Psaras and Lucy Brettle, who turned their passion for baking into a roaring trade during last Friday’s lunch break. The two were eager to support the first annual prom fundraiser and decided to organise their own event by holding a bake sale for students and staff. Cooking up a storm in the kitchen, they baked all sorts of homemade treats, including fairy cakes, cookies, brownies, marble cake and a Victoria sandwich. 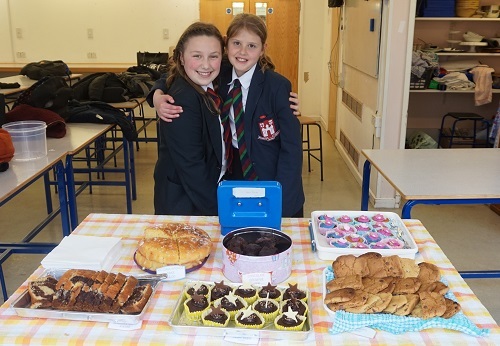 Anna and Lucy enjoyed sweet success as they raised £30, which will go towards making this year’s prom a special and memorable occasion for the current Year 11s.